Talking on the phone is very common in today’s business environment. 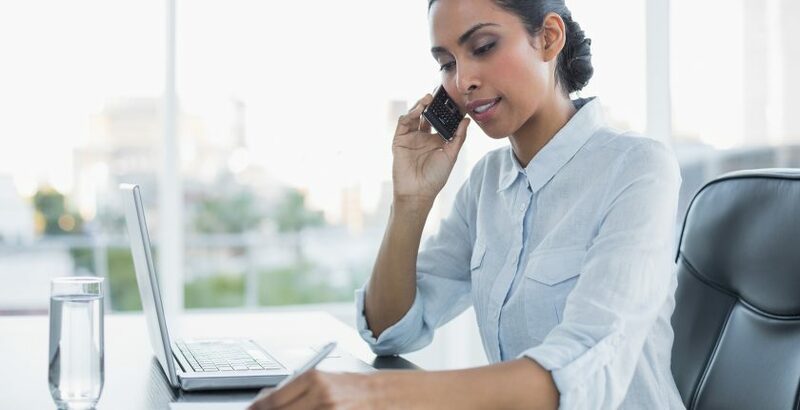 With many office roles, you will have to make a call, receive a call, leave a message, take a message and a variety of other phone-based tasks. In this post, we will cover all the details about business English phone calls. Answering the phone is probably one of the easiest tasks. It’s what comes after that that can be scary. Hello, this is [your name]. [company name], [your name] speaking. Good morning, thank you for calling [company name]. This is [your name], how many I help you? Obviously, good morning should be replaced by good evening or good afternoon when appropriate. Good evening – you can change to good evening usually around 5/6 p.m. Calling someone can be a little more difficult. You need to make sure you state your name, where you are calling from and why you are calling. Hello, this is Tim calling from Jones Consulting. I am compiling a report for the new business project and I need the marketing report from last quarter. Do you know where I can get a copy from? The example above is clear and concise. It first explains who the person is and where they are calling from. Next, they mention what they need and why. Hello, this is Tim calling from Jones Consulting. I just wanted to check that you received our invoice for last month. Could you check for me, please? Sometimes you might receive a phone call from someone asking a question that you don’t know the answer to immediately. There are a few ways that you can deal with this. You can either tell the person to hold while you look for the answer, tell them you’ll call them back or redirect them to someone you think knows the answer. I don’t have that information to hand. I’ll have to find it for you. Will it be ok to call you back in 30 minutes? I’m not sure about that. Let me ask the office manager. Can you please hold? I’m sorry, I wasn’t working on that project so I’m not sure about it. Would you like me to put you through to the logistics department, I think they’ll be able to help? When receiving a call that you need to redirect to another person you can either use the example above and put them through directly or you may need to give them additional contact information. I think Yvonne from the design department will be able to help. Do you have her contact details? I think Fred Goodyear will be able to help you with that. Let me give you his number. Can you redirect me to …? Can I get his/her contact information? Can I get his/her phone number? Can you redirect me to someone who can help? So overall, when you first call a company, you might like to say. Hi, this is Tim from Jones Consulting. I have some questions about the Premier Plan I’ve seen on your website. Can you redirect me to someone who can help? If you call someone and they’re not there, it’s most likely that the call will go through to voicemail and you have to leave a message. Just like when making a phone call you should leave your name, where you are calling from and why you are calling. They might have your number but it’s always best to give your phone number at the end of the call or give them details of the best way to reach you. Hi, Janet, this is Tim from Jones Consulting, I’m calling regarding the marketing report you sent me last week. I’ve got a few questions about it. Could you please call me back on 01375 386212. Thank you. In some cases, you might have received a message and are calling back to discuss something but then the other person is out of the office too. Hi, Tim, this is Janet returning your call. I’ll be in the office until 6 p.m. today, so feel free to call me back. If you can’t reach me in time, feel free to send your questions via e-mail and I’ll do my best to answer them. I hope that this has cleared up some questions you might have been having about making Business English phone calls. If you’d like to learn more, why not click here to check out our Business Phone Calls workshop. We’ve provided lots of examples for you to try and to adapt to your situation. Let us know how you got on in the comments below!